Longlisted for the Historical Writers Association debut novel award 2016. Hendrickje, a young girl from a strict Calvinist family, leaves home to find work as a maid. Entering Rembrandt's flourishing and busy household after the death of the great artist's wife, she finds a world filled with secrets and desire. Shocked to the core after discovering the intense relationship between Rembrandt and Geertje, his housekeeper, Hendrickje is nevertheless slowly drawn to Rembrandt by his freshness, by his freedom, by his intensity. 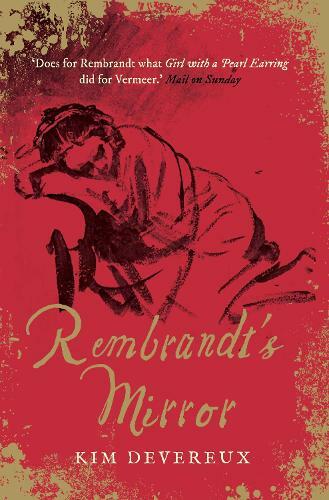 Rembrandt's Mirror explores the three women of Rembrandt's life, and the towering passions of the artist, seen through the eyes of his last, great love, Hendrickje. The story of the man behind some of the most famous paintings in the world from the women who knew him the best.